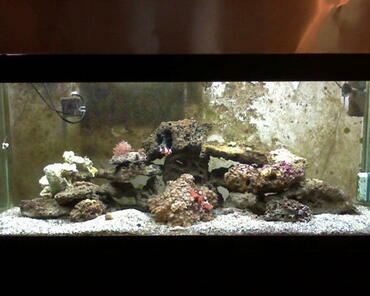 Creating an aquascape. 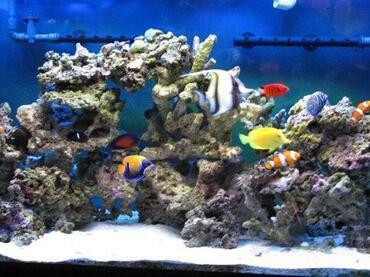 Deciding on livestock for your tank. 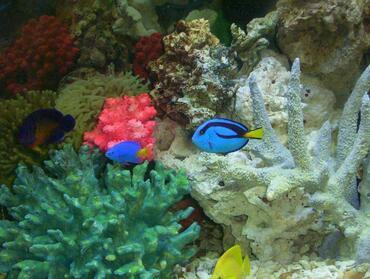 Dressing up your salt-water system can be a very pleasant experience. 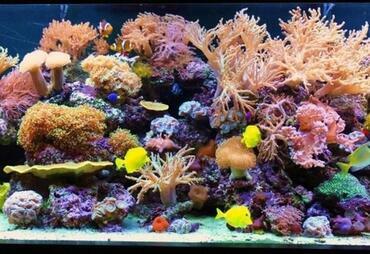 A little imagination and motivation can go a long way. 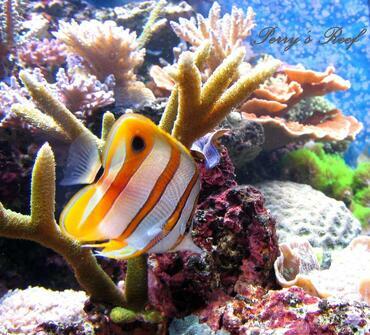 Set aside some time just for this purpose. 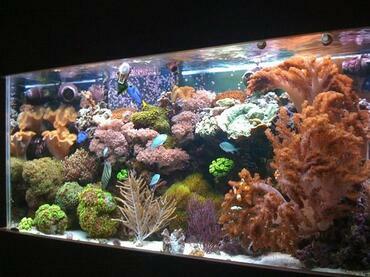 That way you won't feel rushed when you are designing your ideal aquascape. 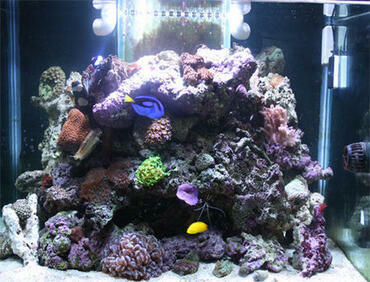 You want to create an environment that is both beneficial to the tank residents and that is aesthetically pleasing. 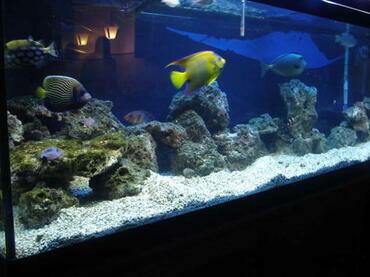 Livestock that is on the larger size will require some rock or pieces of driftwood of equal dimension. 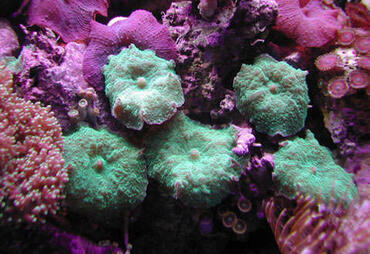 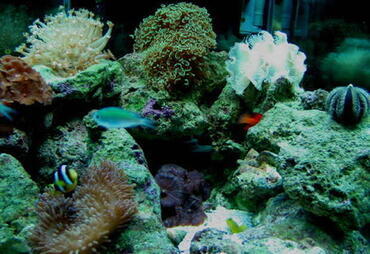 Most community systems also house numerous species of marine plant life. 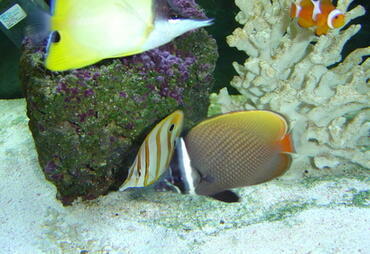 Learning about your livestock's natural habitat can give you an idea of what style of elements is most desirable to you. 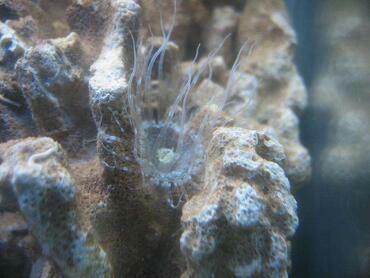 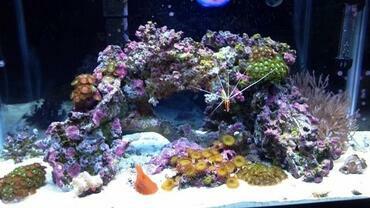 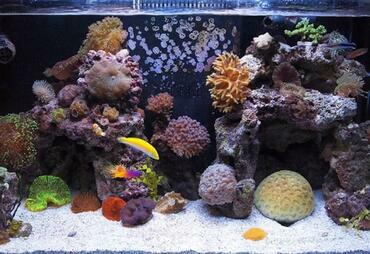 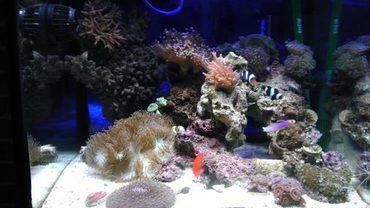 Make sure to create caves and/or specific hiding places for your fish with the use of wood, plants and corals. 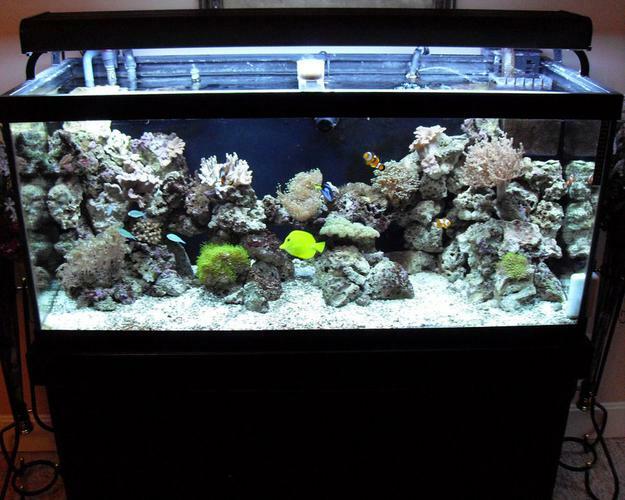 Also consider that you need to make sure that the equipment that you use is secured to the tank properly or in the case of corals, has a stable platform to sit on. 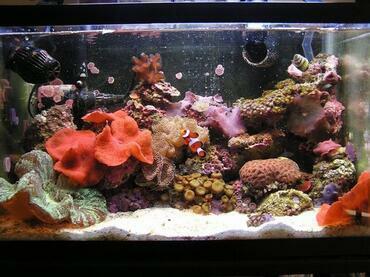 Search for your fish with an idea of what kind of fish you want instead of blindly buying just anything. 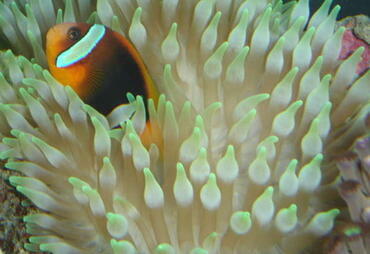 This is especially important if you are planning to keep several species. 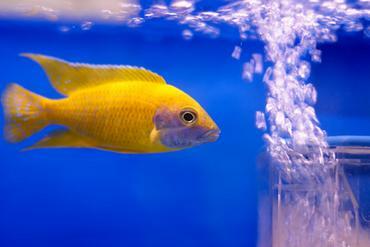 Plan for your fish to grow. 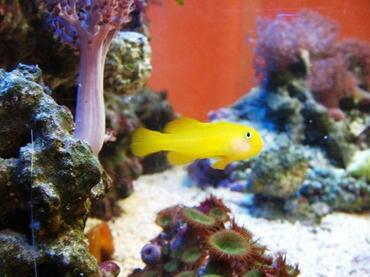 If you buy a juvenile of a species and don't know how large it can get, it could outgrow your tank and then you'll have problems. 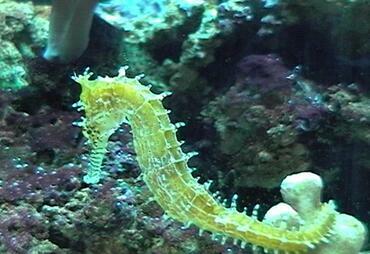 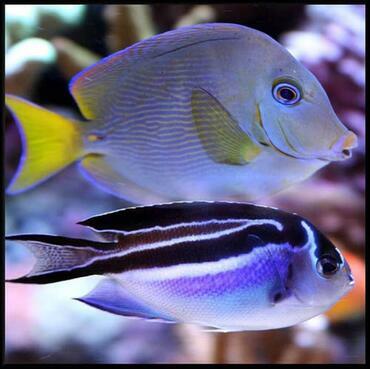 When it comes to purchasing fish or other livestock for a saltwater aquarium, the first thing you need to understand about the animals is their compatibility. 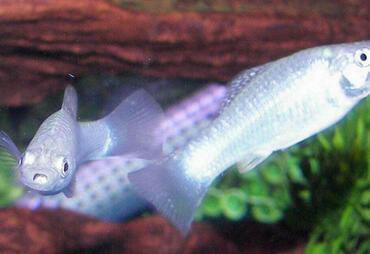 In other words, why they act as they do towards one another. 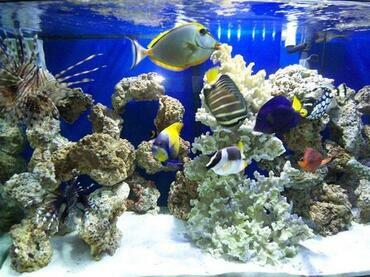 Whether choosing a fish-only tank or a reef system, without knowing about a particular animal's ability to reside peacefully or not with other tank inhabitants can quickly lead to disaster. 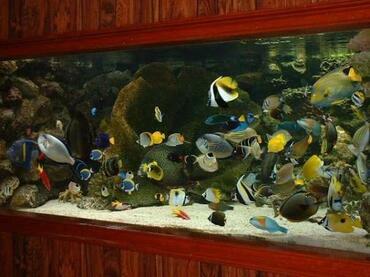 It is important to know which fish are difficult to care for so that you can stay away from them. 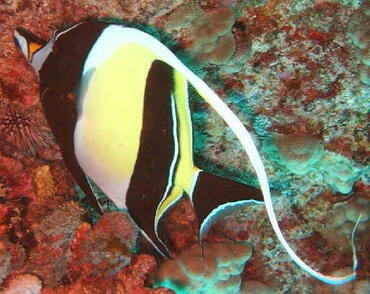 They include: Moorish idols, ribbon eels, polyp-eating butterflyfish, sponge-eating angelfish, parasite-eating cleaner wrasses and fish that have unique environmental needs or picky eating. After you've decided on a general idea of what you want in your tank, there are a few other things to be aware of before you make the purchase. 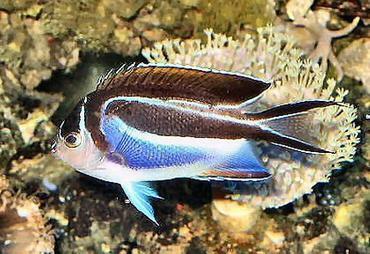 Selecting healthy fish requires that you ask the store personnel a few questions and make some observations on your own. Here are some things to observe while selecting fish.
" 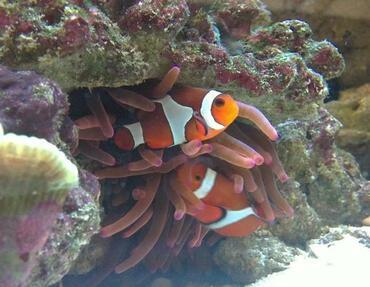 Don't buy fish that the store just got in. 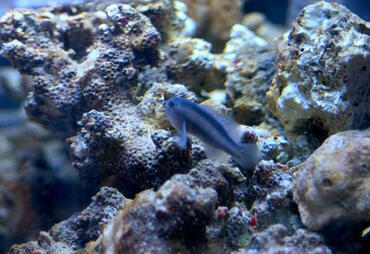 These fish are still going through the acclimation process. 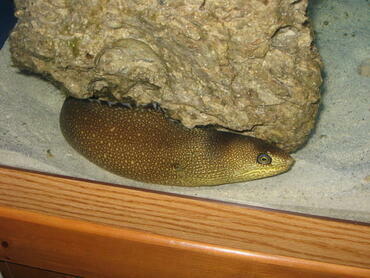 Moving them before they've settled in may be one trauma too many for them. 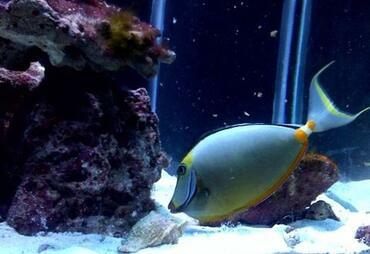 Try to buy a fish that have been in the store for at least two weeks.
" 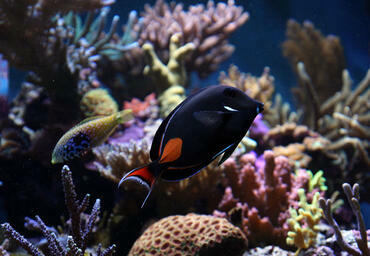 Take your time looking at the fish to determine if they are swimming normally. If the fish seem to have difficulty swimming, it may be a sign of bigger problems.
" 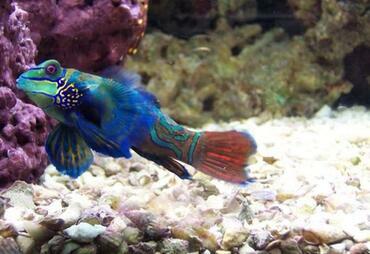 Look closely at the skin, eyes and fins. 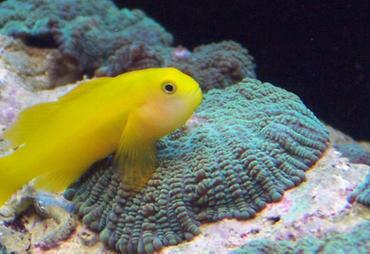 The eyes of a healthy fish should be clear, not cloudy. 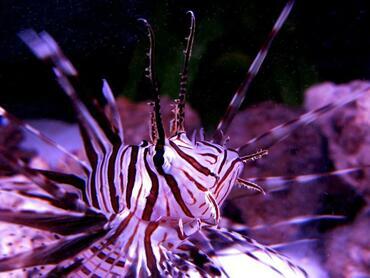 The skin should be free of lesions or discolored areas on the body (unless they are part of the coloration) and shouldn't have a "fuzzy" appearance.
" 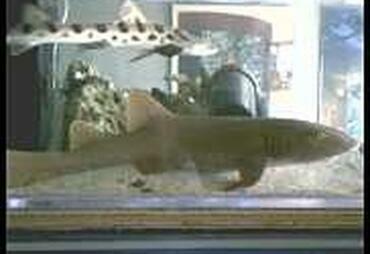 The fins should not appear frayed or torn. 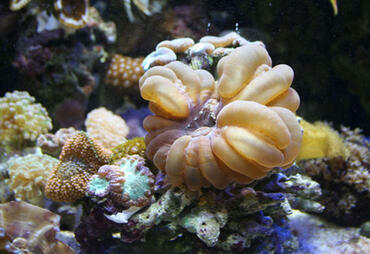 Although tears and frayed areas may be a result of a fight, they can also signify a looming bacterial infection.
" 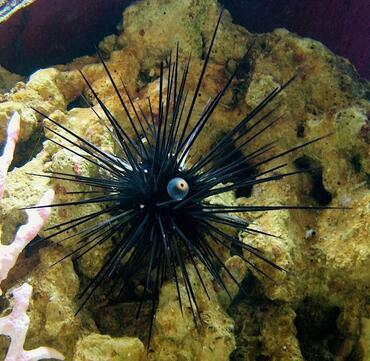 Look for any signs of disease. 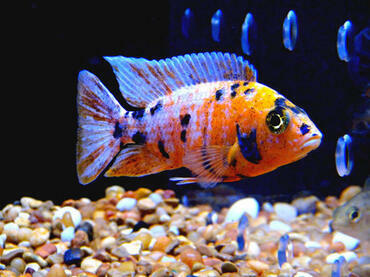 Never purchase a fish that has white spots on its skin or fins.
" 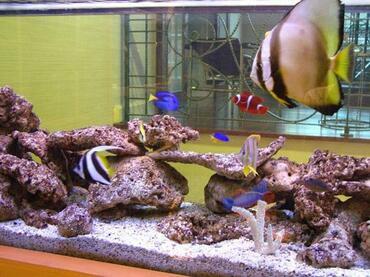 Ask the store personnel what the fish that you are interested in eat and how often they are fed. 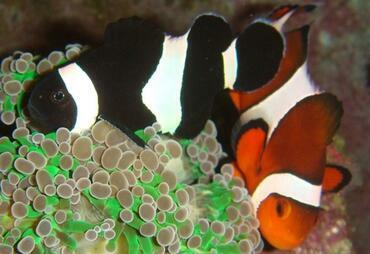 Healthy fish that have been feeding well will have normal rounded or "full" bellies.
" 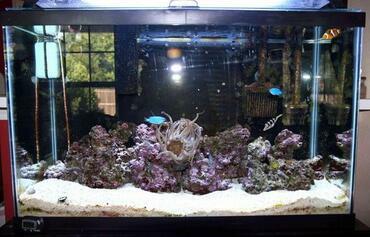 Also ask about the water quality the fish has been living in. 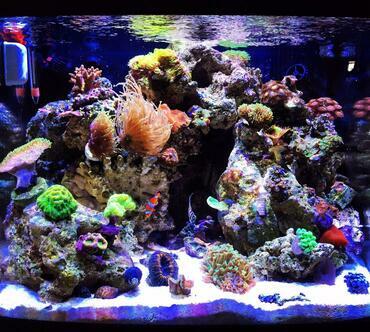 What temperature does the dealer have his aquarium set to? 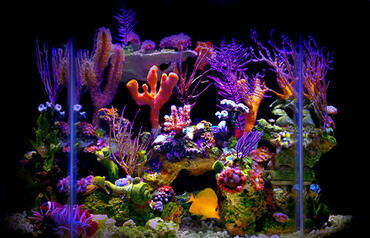 What is the salinity and pH. 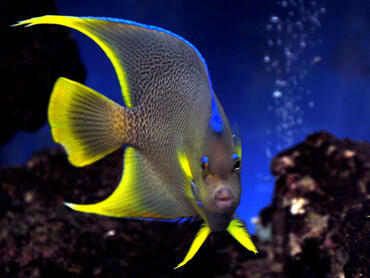 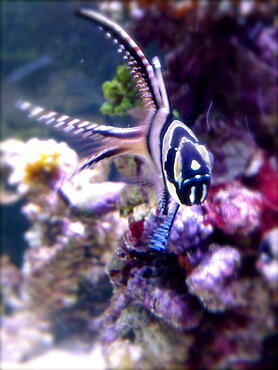 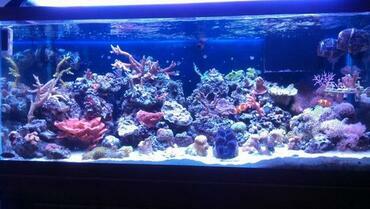 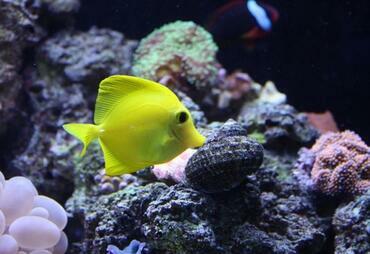 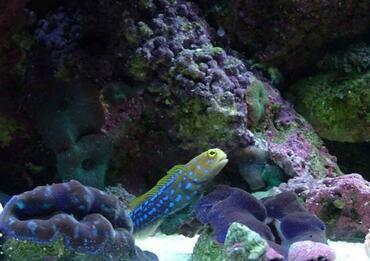 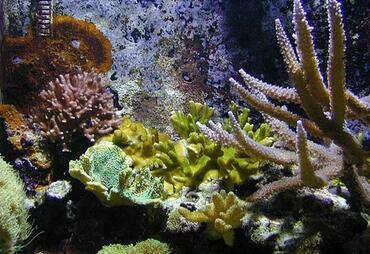 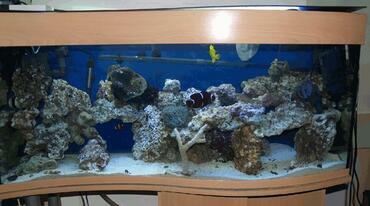 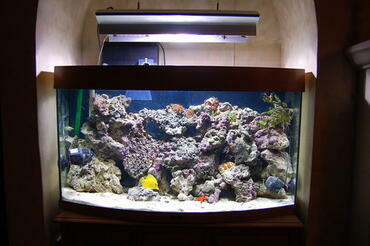 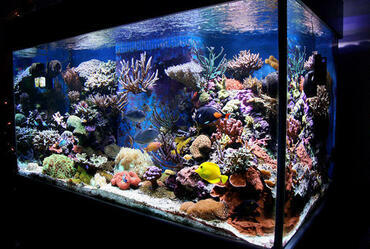 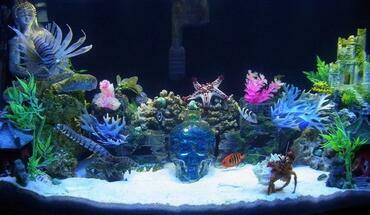 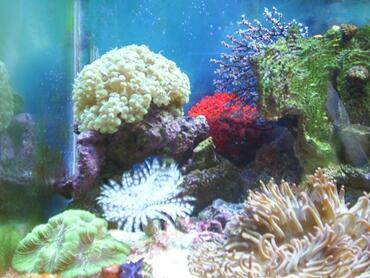 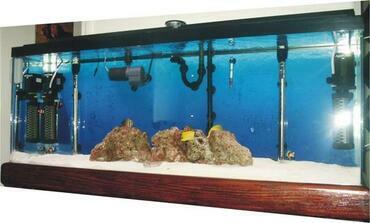 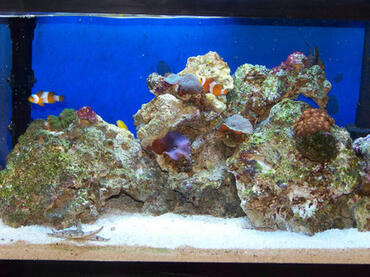 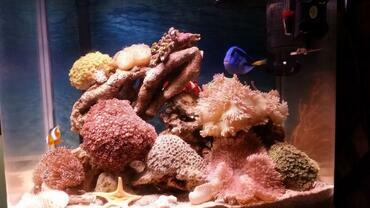 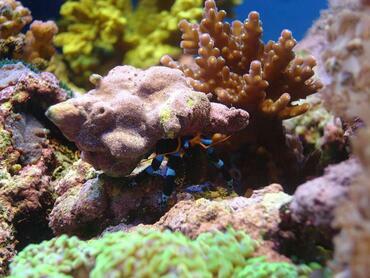 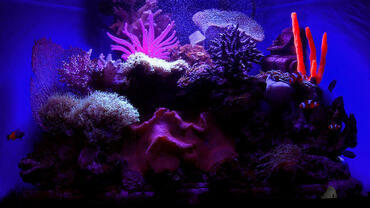 Saltwater aquariums cannot hold as many fish as freshwater systems of the same size. 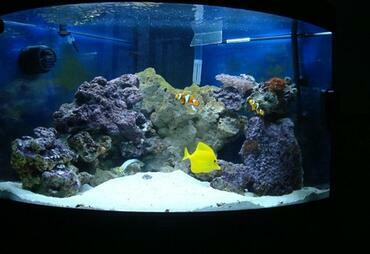 A general rule of thumb to determine how many fish should inhabit an aquarium is calculated by the number of inches of fish per gallon of water. 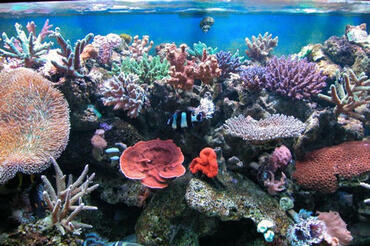 The general recommendation is about two to three inches of fish for every 10 gallons of water. 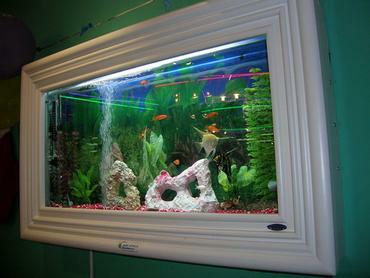 A 50-gallon tank for instance can accommodate 15 inches of fish while a 20-gallon tank can safely hold only about six inches of fish. 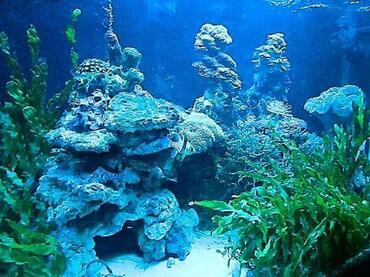 However, remember that the bigger the volume of the tank and the more stable the water quality is, the larger the holding capacity will be. 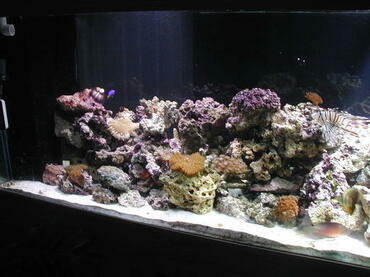 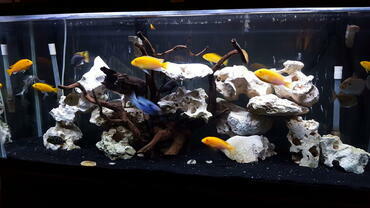 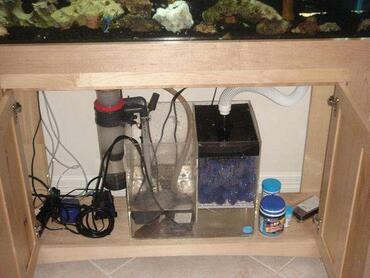 So a 50-gallon tank can actually handle about 18 to 20 inches of fish, plus a few invertebrates. 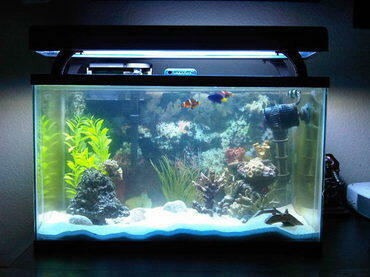 In this is new to you, start with fewer fish than you think the tank can hold and then add them as the system stabilizes. 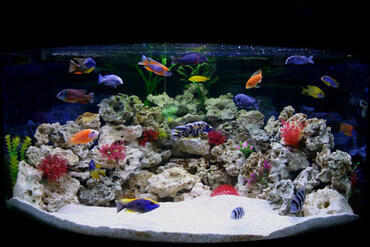 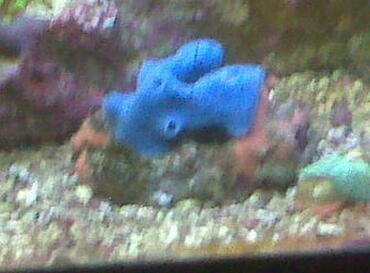 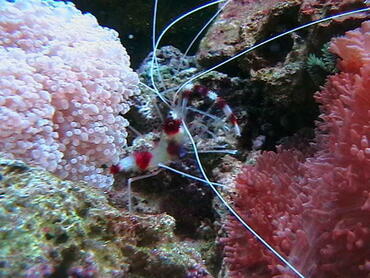 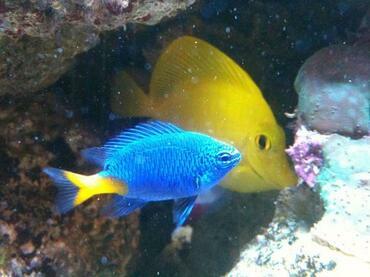 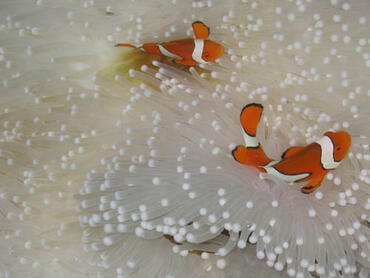 Remember that any time you add fish to an aquarium, their compatibility depends on a number of factors. 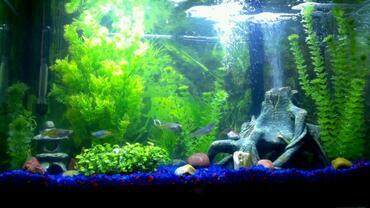 Water quality, reproductive behavior, tank size and number of inhabitants will influence the behavior and health of any aquarium community.